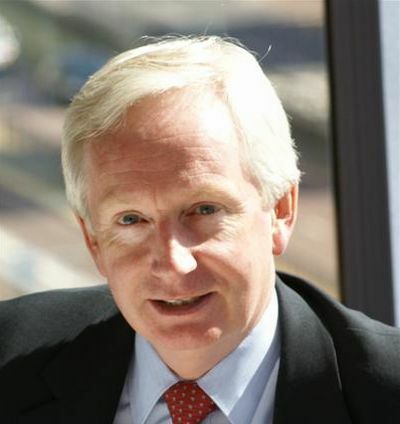 Laurie Price, Director of Aviation Strategy for Mott MacDonald, was Aviation Adviser to the UK House of Commons Select Committee on Transport for 8 years and is the Aviation Adviser to the UK House of Commons All Party Aviation Group. He is a frequent media expert and conference presenter. He spent 20 years with British Caledonian Airways and British Airways, including responsibility for Government affairs, route planning for North American routes, budgeting route traffic and revenue and as General Manager for the Aircraft Trading Group. Laurie holds a Master of Science Degree in Transportation Planning from the University of Westminster, is a Fellow of the Royal Aeronautical Society, a Fellow of the Chartered Institute of Logistics and Transport, and a visiting Professor at London Metropolitan University. He holds UK and US private pilot licences. The United Kingdom is the world’s seventh largest economy and trading nation, yet it is an island, linked to its markets by sea, by air, and by just one twin railway track and no roads. London and the south east are reasonably well connected to the wider world – but that one rail link is fast to St Pancras and is of little value to the British economy that stretches to the North of England, to Scotland, to Wales and the far south west. For many in the British Isles – in Northern Ireland, the Isle of Man, the Channel Isles, the many Scottish isles – access to St Pancras still requires a sea crossing plus a lengthy journey across the mainland. Even the ambitious HS2 may (one day) only extend fast surface access to Europe to a limited number of cities in the southern and eastern halves of England, but at great cost to the exchequer. Shipping is still vital to move imports and exports, but passengers are restricted to short ferry services – liners no longer link the UK to its colonial outposts. If only someone could invent a form of transport that could wing traders and investors from the far-flung corners of this great trading nation direct to overseas markets or at least to a major transport interchange in London to continue their journey. Yes, a few major cities such as Manchester, Newcastle, Birmingham, Glasgow and Edinburgh can support a small number of direct intercontinental air services, but many will still wish and need to access a much wider spread of destinations, for which a hub airport is needed. Only in this way can the more fragile economies of our peripheral regions be supported. Back in my youth we had such a system centred on Heathrow – there were direct air services from some 22 regional airports in Britain plus a helicopter Airlink from Gatwick from where they could access the wider world. With Leeds Bradford and Teesside losing their links to London last year, and Glasgow having its frequencies cut by half, there are only six domestic cities served today; the lack of capacity and new pricing policies of London’s airports threaten even this rump of services. Manufacturers in the forgotten regions were once able to welcome potential customers, and investors from abroad could get there easily by taking connecting flights from Heathrow. Now many self-respecting regionally-based companies find it necessary to base their head office staff – and some of their manufacturing capability – in London as this is the only British city with access to the whole world. This increases pressure on the already-overcrowded south east while leaving the regions economically disadvantaged. Of course, there is a simple remedy – additional hub airport capacity in the south east, where passengers to and from the distant parts of the UK will be able to make connections. In the last 50 years since Gatwick’s single runway was re-constructed, the only concession to increasing demand has been the addition of the limited services at London City. The situation is now so bad that London and the south east are losing out – with Heathrow offering 166 destinations compared with 244 at Paris CDG, 264 at Frankfurt and 252 at Amsterdam. All those competing continental airports have built additional runways to meet increasing demand to serve a broader range of destinations, leaving Heathrow (and the UK economy) in their wake. Even Munich, Germany’s second hub, has announced the construction of a third runway. If London and the south east feel disadvantaged, how much more so are the forgotten regions of the United Kingdom! And why this avoidance of the obvious solution? It cannot all be down to carbon dioxide – the whole-life carbon costs of constructing HS2 and the generation of electricity made from fossil fuels to power the trains have still to be fully demonstrated. The significant CO2 output of inter-continental shipping is known about, but no corrective actions are planned because (as Transport Minister Mike Penning said on July 19th in the House of Commons) ‘shipping is a global, competitive industry’. Is he saying that aviation isn’t? Yet neither trains nor ships are subject to taxes like aviation’s punitive Air Passenger Duty (APD) or introduction of EU Emission Trading Scheme (ETS) to further penalise the UK regions. Can the lack of progress on airport construction be put down purely to perceptions of aircraft noise and air quality? As a resident close to Heathrow said during the ash crisis of last year – ‘it was so quiet I could hear the roar of traffic on the North Circular Road’. The regions are feeling helpless – not only have Scotland, Wales and Northern Ireland been devolved, some almost feel disowned – their problems are not considered to be being taken seriously in Westminster. The Government turns its back on offering the regions air services protection via Public Service Obligations, as used so successfully to protect air services in France, yet allows significant increases in minimum airport charges (which penalise regional airlines). It professes its faith in the market, but this ‘free market’ has led to the sale of slots by cash-strapped domestic airlines (operating small aircraft to the regions) to intercontinental operators with large aircraft. Yet these self-same intercontinental airlines need feeding from a wide range of domestic routes to fill their aircraft. The UK – and particularly its peripheral regions – urgently needs additional runway capacity in London. At Heathrow the Government has blocked the concept of using additional ‘mixed-mode’ capacity to support domestic services, but may be prepared to allow it to improve ‘resilience’ for an airport operating at 99% of capacity. If Heathrow’s third runway is not to be built, we must make best use of all existing runway capacity particularly at Gatwick (as the next best location). We should also dust down the 1998 Report of the House of Commons Transport Select Committee on Regional Air Services which recommended the use of Northolt as a reliever airport for Heathrow – a view repeated by AERBT's Editor in the 27 June issue. It could handle all the regional flights leaving the major airlines to make even better use of Heathrow. A rail link actually exists partly using the Heathrow Connect routing. Northolt may only be a short-term fix, but does not the Government still wish us to make ‘best use of existing infrastructure and what other options are available for the next 20 years to the capacity crisis and securing vital regional air services’? And it would give the regions a lifeline to the capital.